The First State has some amazing trails in its state parks, and if you haven’t explored them, you’re really missing out! In fact, did you know that some Delaware hikes are part of a popular “Delaware Trail Challenge”, and you can earn prizes for completing them? 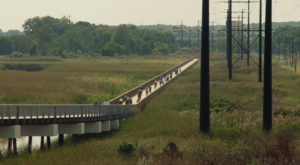 Learn more about the Trail Challenge here, and learn more about a few easy hikes to get you started on exploring the nature of Delaware below. 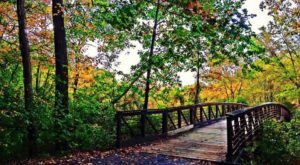 If you combine the Auburn Heights Trail with the Auburn Valley trail at the Preserve, you'll be treated to some beautiful, scenic views! The trail is paved and slightly graded, so it's an easy-to-moderate trail. 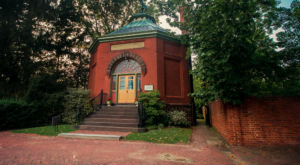 The coolest part is that you might feel like you've stepped back in time, because the Auburn Heights Trail is actually open to steam cars, as well! 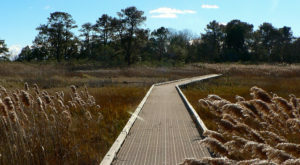 This trail is part of the Delaware State Parks Trail Challenge. 2. Bellevue State Park, Nature Preserve to Oval Track, 2.7 miles. The Oval Track and Nature Preserve trails combine to make an easy afternoon stroll suitable for nearly everyone. 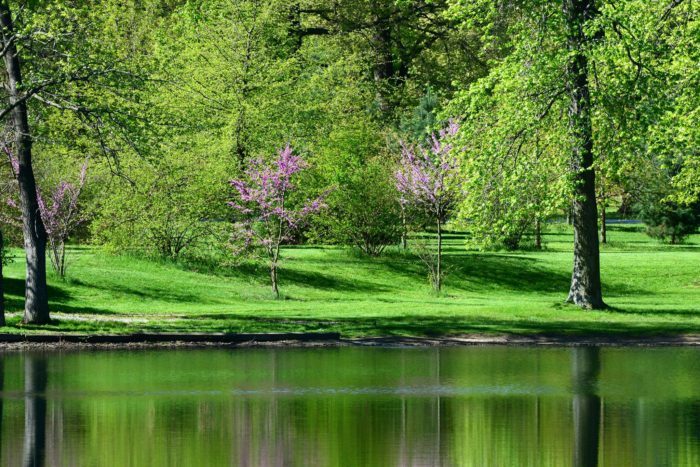 I particularly love the views of the pond here - it's so serene. Be sure to check out the Bellevue Mansion while you're in the state park, as it's rumored to be haunted! Start at the Nature Center and head out on the Indian Springs Trail for one of the more intense trails in our relatively flat state. 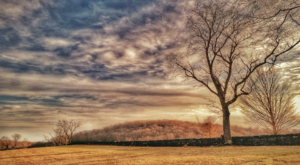 1.8 miles will take you through the nature preserve, through beautiful Tulip Poplar trees, and up to the open fields that are bordered with the famous stone walls from he 1900s. The descent is a bit rocky, but it levels off when it reaches the river. Rest here, because you'll soon meet another steep ascent. 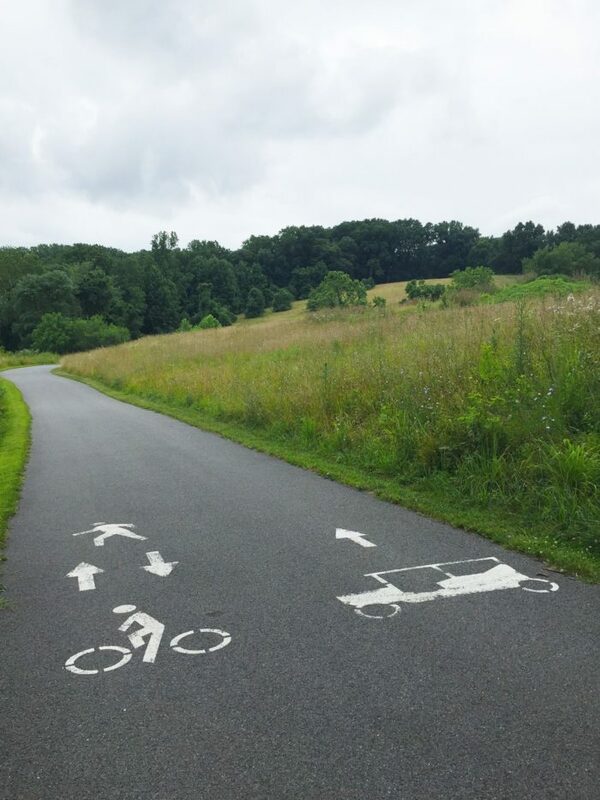 From there, you'll enjoy scenic views as you head back on the trail towards the nature center. Rocky Run is a fun 2 mile trail that's great to combine with the Indian Spring trail, if you're up for it! 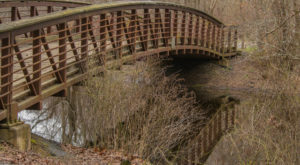 This brings you across the new Rocky Run Bridge into a quiet forest where you'll enjoy views of the creek. There are some challenging ascents and descents here over rocky terrian, but it's not necessarily a difficult trail. 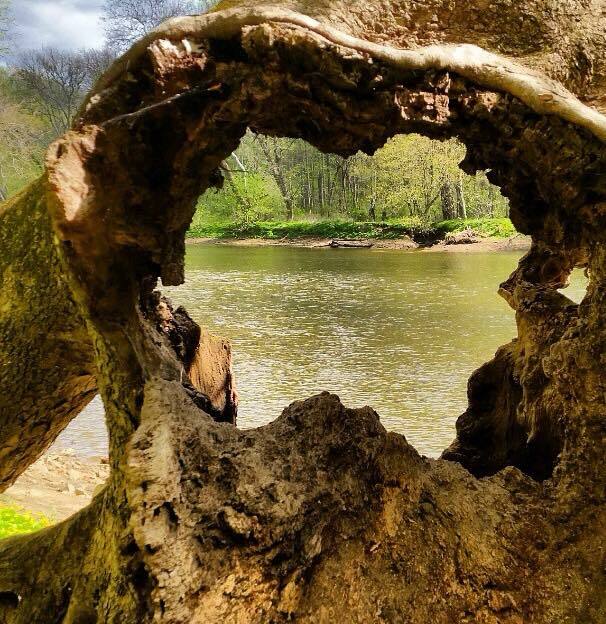 The Hidden Pond trail is my favorite of the Brandywine Creek trails. 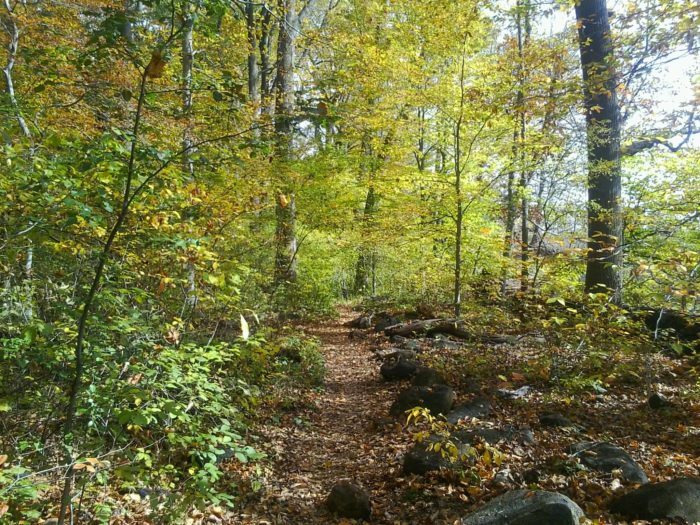 It's an easy hike that starts with the Tulip Tree preserve. 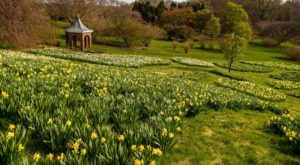 You'll head through the open fields down to the Brandywine Creek, and follow a smaller creek that brings you along Route 92 and takes you to Hidden Pond. 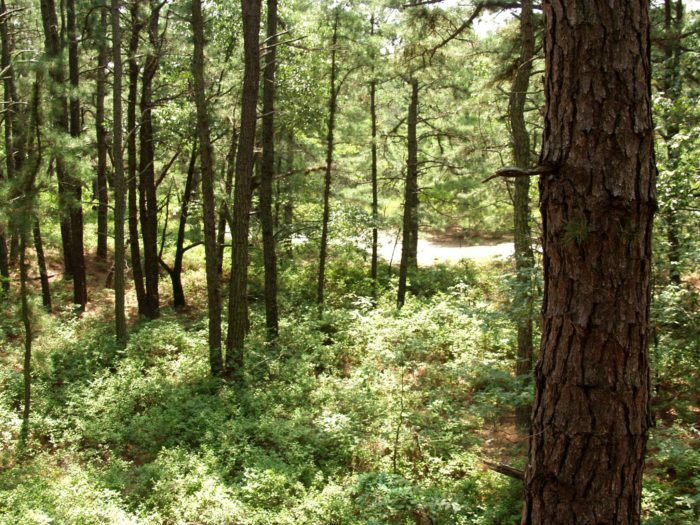 Cape Henlopen's Pinelands Trail is one of the more interesting trails in the state! 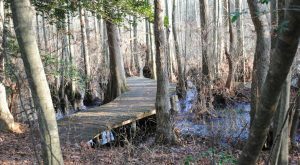 Start off in sandy Cape Henlopen and soon find yourself surrounded by nature in an upland forest, with cranberry bogs all around. It's an easy 2 mile hike that the whole family can enjoy. You'll even see some of the old bunkers from Fort Miles! This trail was the first National Recreation Trail in Delaware, dedicated in 1981. 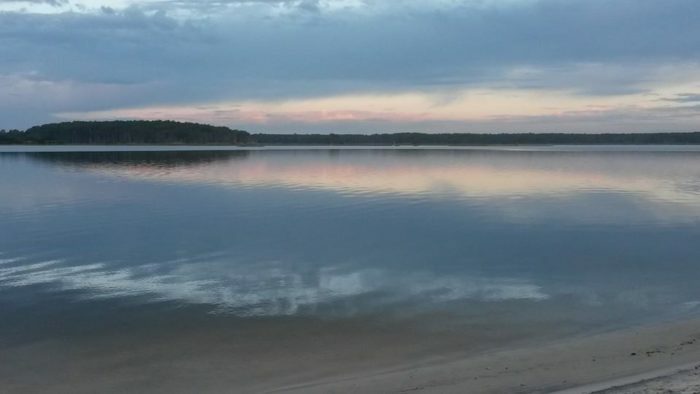 Gordon's Pond is a 2.65 mile one-way trail that has become a popular way to 'see it all' in Delaware. 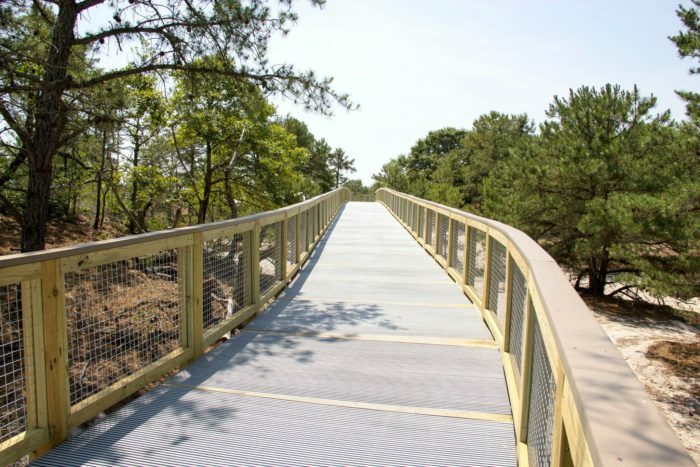 The trail takes you through an upland pine forest, to a scenic viewpoint for birdwatching, and to an elevated boardwalk that's great to get a view of the tidal marshes, beach and pond. The Assawoman Canal trail is a quick, one mile trail that winds along the west bank of the canal, right near Route 26 and the Ocean View Marina. It's an easy, well maintained trail that's suitable for everyone, and provides beautiful views of the water from nearly every spot. 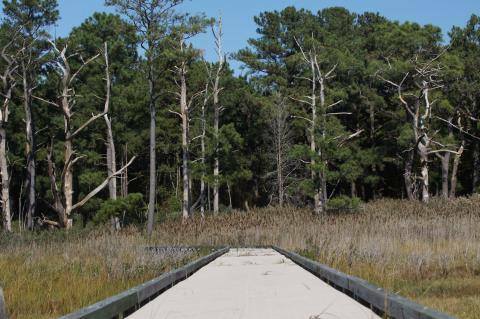 The Burton Island trail is one of the most ecologically diverse trails in the state! It brings you views of the Indian River Bay, the Rehoboth Bay, and open salt marshes. The island itself is home to a variety of birds, fish, reptiles, and mammals. It's important to stay on the trail here, because of the nesting grounds for terrpains that are native to the area. This trail can get buggy, too, so I would recommend going before it gets too hot out! I can’t wait to get out and get active this weekend! 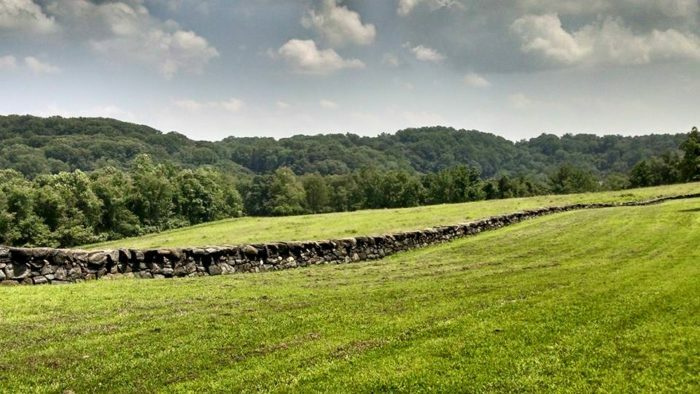 If you’re looking for a longer or more challenging hiking trip, check out The One Hike In Delaware That’s Sure To Leave You Feeling Accomplished!